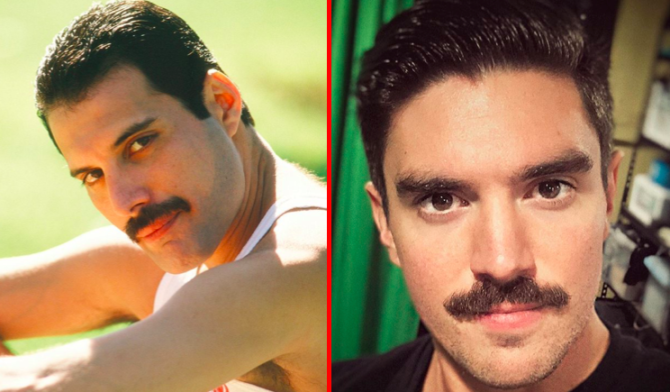 Breaking news, y’all: Steve Grand has a new moustache! Um, anyone else feel like they’re seeing doubles??? Grand released his latest album Not the End of Me over the summer, which peaked at number 10 on the Billboard independent charts. Hope you guys are ready for the weekend! Signed some pre-orders of the album before heading to the airport today. I plan on shipping these bad boys out on time for you guys! 😉 St Louis Pride tomorrow and Nashville on Sunday. Get your signed copy at shop.steveGrand.com Digital copies available on most digital music platforms. “not the end of me” drops July 6! This album means so much to me! I hope it has meaning for you guys too! Follow me on tour at bandsintown.com/SteveGrand Thank you guys, for all your love and support! ?? My final evening in #PTown this season. Spent the last 2 days packing and shipping all my things back home. Tomorrow morning I start my 16 hour drive back to Chicago. Then in November, I’m off to play in Puerto Vallarta for 3 months! Hope to see you guys at a show soon! ??? and I… ain’t so young anymore.. ??? Pre-show sillies. Columbia, South Carolina. Follow me on bandsintown.com/SteveGrand for up-to-date tour schedule, tickets and details. Happy Friday! I got a lot done on my record this week. Sent another song off to be mixed so I’m feeling good about that. Enjoy your weekend, everyone! Nope. It’s vague at best. He looks more like the dad from This is Us. WOW, I thought the same thing. He looks like the Dad from This Is Us, particularly the photo from Provincetown. Mercury’s mustache is even across the bottom while Grand’s has an upward nip just underneath his nose. It’s laughable how hard Queerty has been trying to make something happen with this dude. It’s not gonna happen. But it’s been fun. And nobody has been hurt. If I was this guy I’d be using Queerty as well. Free advertisement and PR. Kind of reminds me of someone like Colton Ford. Outside of Queerty no one really heard of him either. Mustaches, along with the tight torn jeans and crew haircut, looks so so 70s and they are not flattering. That whole gay look and the cartoonish leather outfits are just sad products of the 70s. You gotta be kidding me. Exactly when did mustaches and tight torn jeans go out of style? Mmmmmmm! Yummy! Love those staches! Now I am sure that there is more to you than that. Oh wait, did you mean Steve? 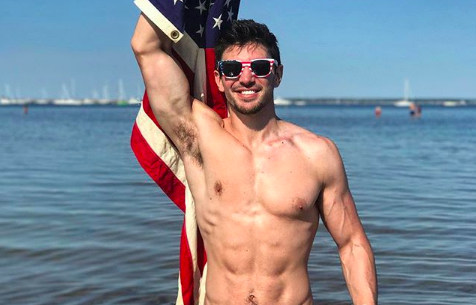 I’ve loved Steve Grand ever since the release of his song “All American Boy”. I’ve been a fan. Although he hasn’t (imo) put our any other song that can come close to All American Boy, i still try to keep up with his music. Also, he looks great in all the photos. He’s extremely good looking and does have talent. Vocal wise, Instrument wise and what not. The songs though, just need more oomph! !